75 years ago Poland was invaded by Germans,World War Two started. 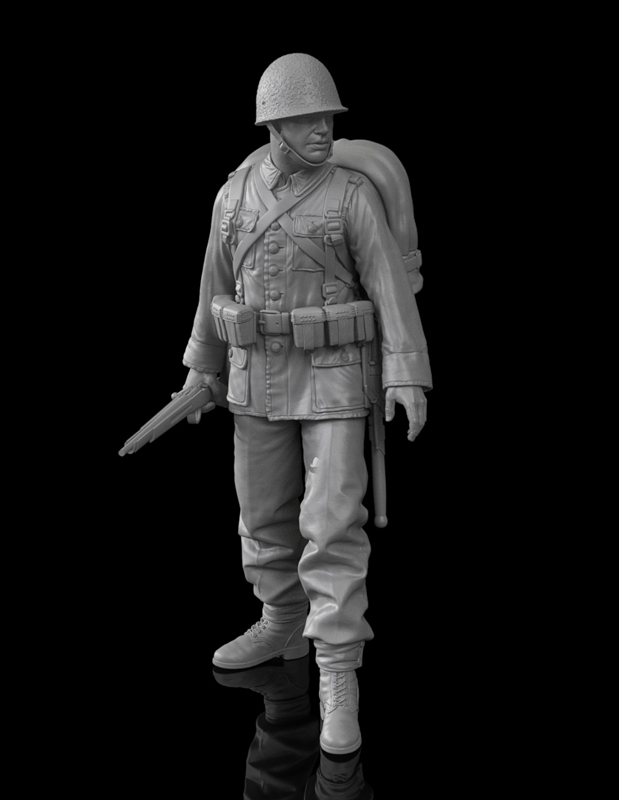 Polish Army was first to fight against Nazis Germany and today we announce first figure of Polish Infantryman 1939 – 120mm. It is being 3D designed by Grzegorz Kawecki, who also sculpted digitally our coming soon release of Boleslaw Orlinski pilot 1/48 scale. Our figure from 1939 Septemeber campaign idea is inspired by one historical reconstruction posted on excellent SRH Cytadela website: link. It is soldier of the 11th Carpathian Riflemen Division, that completely wiped out I batallion SS Germania Regiment in an ink dark night hand to hand fight 15th-16th September 1939at Mużykowice village near Jordanow. Preparing figure we have used data provided by Cytadela website and official “Technical Condtions” for uniforms. We have also got an access to original specimens exhibited in Polish Aarmy Museum in Warsaw. All uniform, weapon and equipment items were checked and photographed for further reference thanks to kind approval of Museum management and extensive help from their employees. 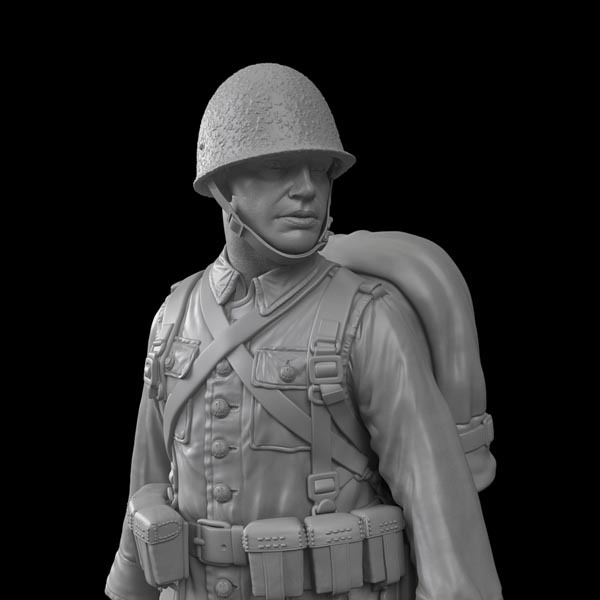 Grzegorz Kawecki very carefuly sculpted inzbrush software any detail of Infantryman 1939 figure. At now he is finishing details and then figure goes to 3D print and preproduction casting. Extensive use of 3D technology is much more convenient than Magic Sculp handiwork. 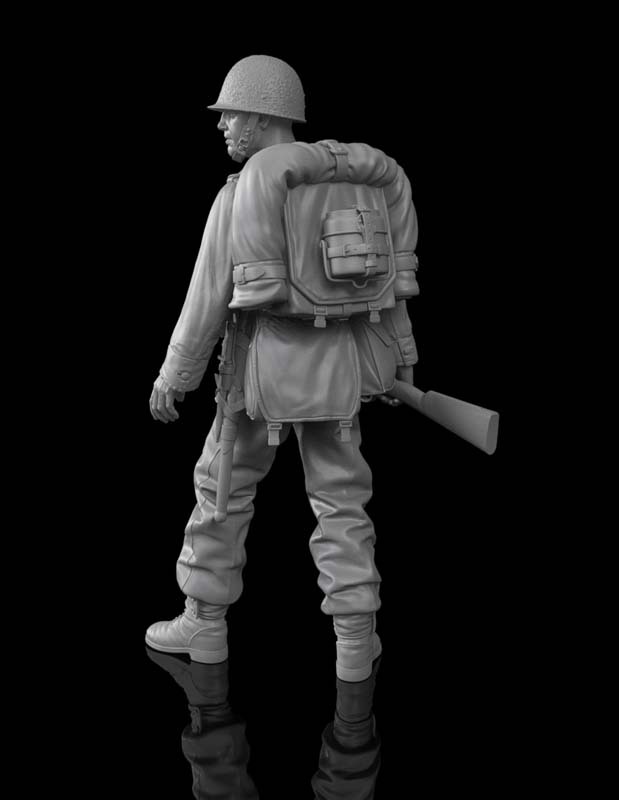 It allows us to release series of 1/35 and 1/48 figures from the same digital sculp. Please , could you say me when your last figure 120mm ” ADALBERTUS / Polish infrantry man 1939 ” will be available ?and its price with shipping to France? Thank you for asking. Hopefuly it will be available in about a month. Price will be comparable to other 120mm figures. Great figure Nice to have something different again. Looking forwrd to it coming out. When will you do a modern Polish figure?